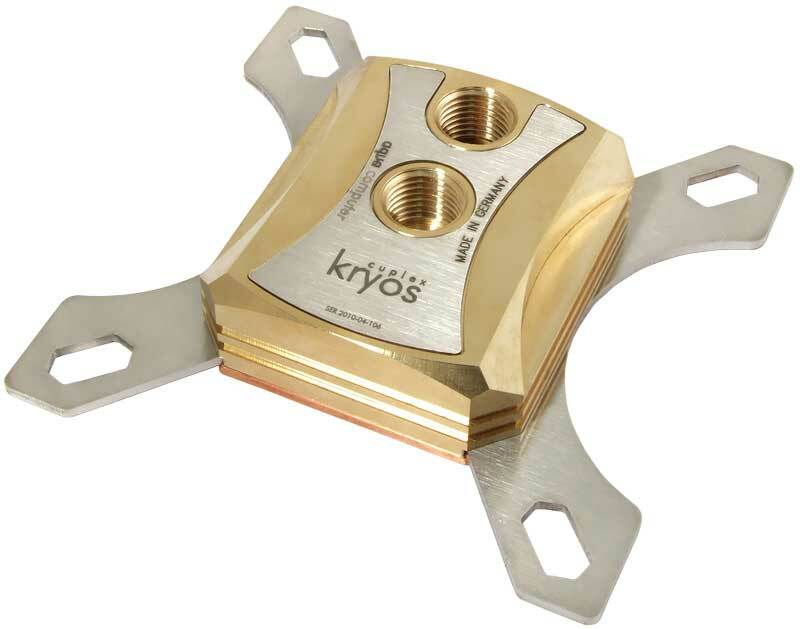 The main target for Cryos is to create a waterblock capable of competing with currently TOP ones. Release of the Watercool HeatKiller v.3 waterblock became, so to say, crucial point in waterblock history. New innovative water injection system, that was first used in HeatKiller, later became the main design feature further waterblocks made by other manufacturers — EK Supreme HF, Koolance CPU-360, Swiftech Apogee XT. 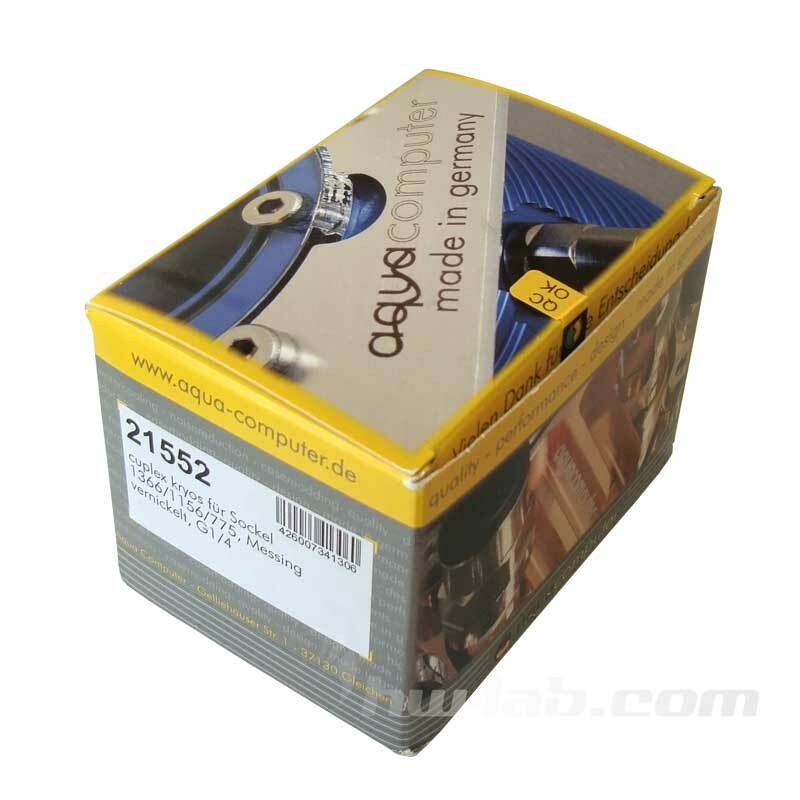 This time we will get acquainted with the version made by Aqua Computer — Cuplex Kryos. Cuplex Kryos became the most money consuming project in the history of Aqua Computer. 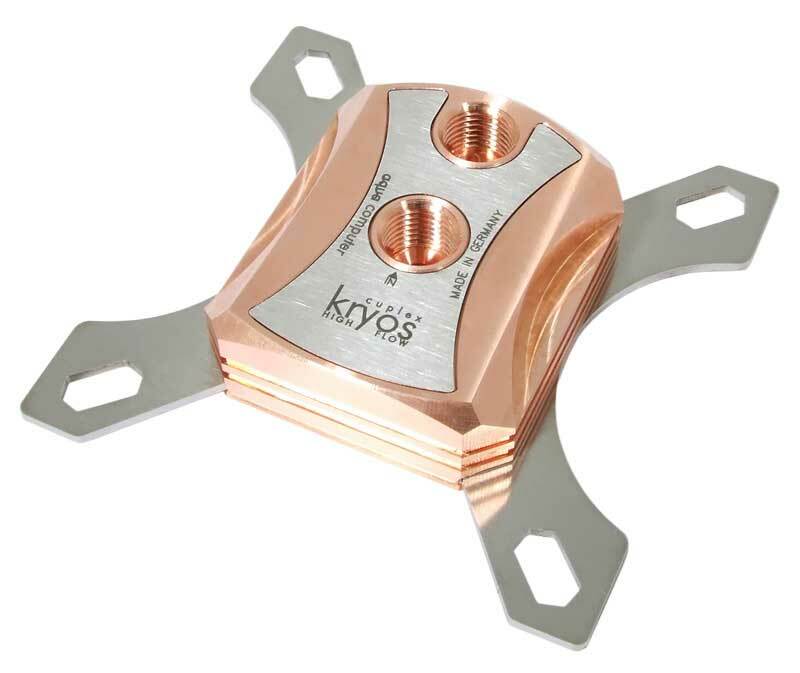 The main point of this project is to create a waterblock capable of competing with currently TOP ones. 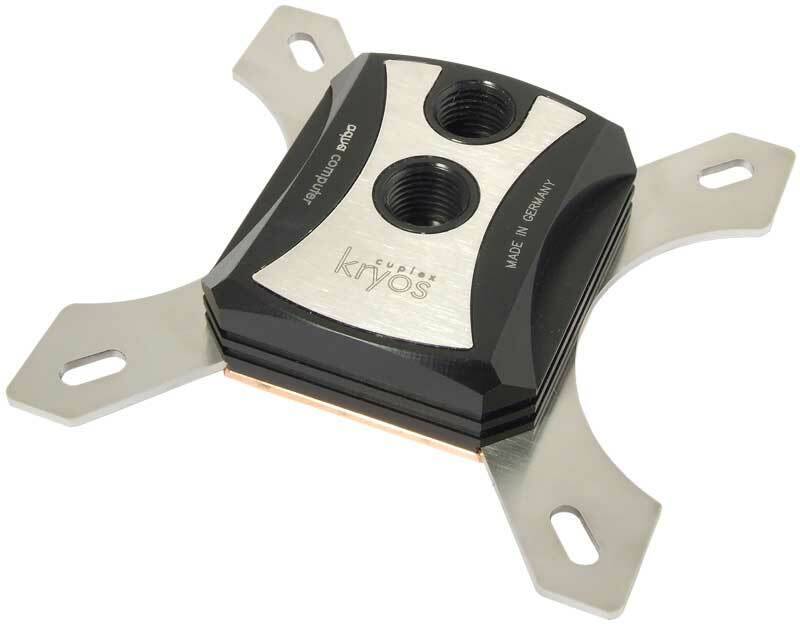 The name for the waterblock comes from the ancient god of Cold, meaning the waterblock will become a leading waterblock. 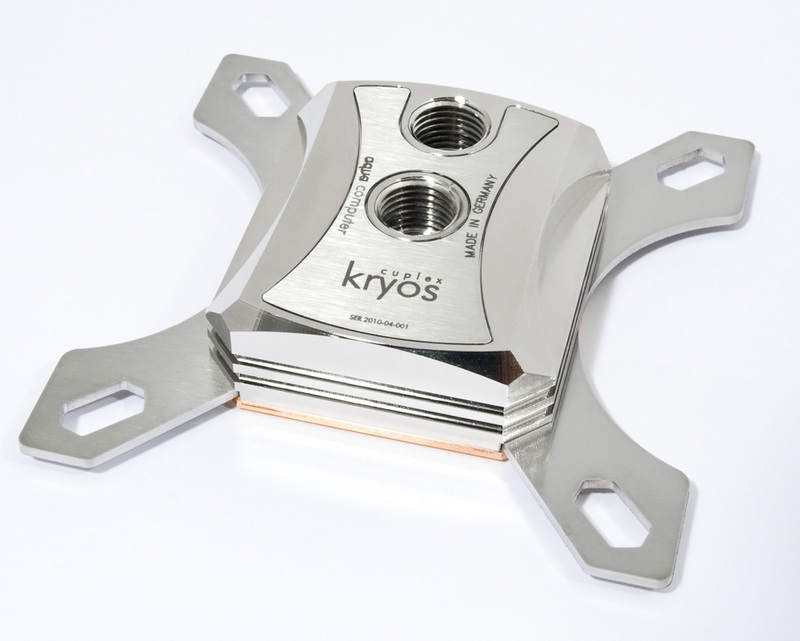 There are several versions of Cuplex Kryos waterblocks. This version costs 39.90 €. Recommended price of this version is 69.90 €.